Come to discover Pasco County, Florida, just 30 miles north of Tampa and about 50 miles west of Orlando/Kissimmee areas. Did you know that Pasco County was created from the southern part of Hernando County in 1887? Its’ central location and housing affordability have been luring new residents seeking their own slice of Florida sunshine! They love the quick commute to the popular attractions of the surrounding Tampa Bay and Orlando/Kissimmee areas. 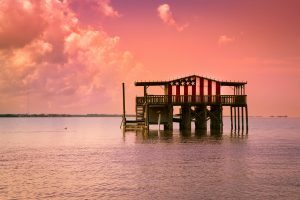 This county is set apart by its’ diverse city offerings ~ loads of family attractions, golf courses, waterfront on the Gulf of Mexico, unspoiled nature, rich history and culture. An ideal home for everyone, the lifestyles of its’ residents varies from waterfront condominiums, tight-knit golfing communities, all the way to the upscale nudist communities of Central Pasco. There are truly some of the most diverse and affordable housing opportunities in Florida. Come to see why so many have been drawn to this part of Central Florida from across the world. Pasco County, come to discover your Florida lifestyle here!